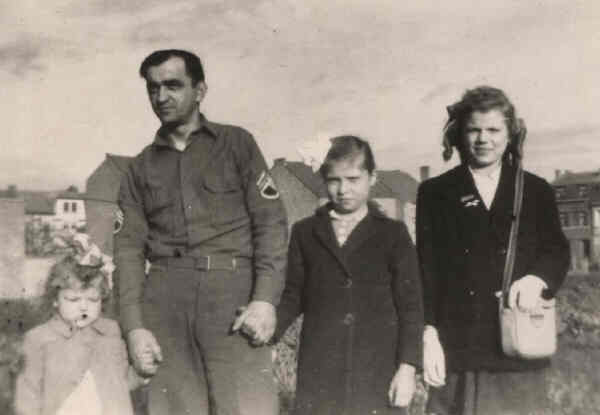 Raritan’s Anthony Musz, who passed away in 1986, never told his daughters Cindy and Cathy about his experiences in World War II. But he did leave a detailed scrapbook that his daughters re-discovered in the attic a couple of years ago. Ironically, around the same time, they were given copies of 17 letters that their dad wrote home during the war to Raritan tavern owner Tony Orlando. Through these letters and scrapbook they, along with this author, pieced together their father’s World War II story. 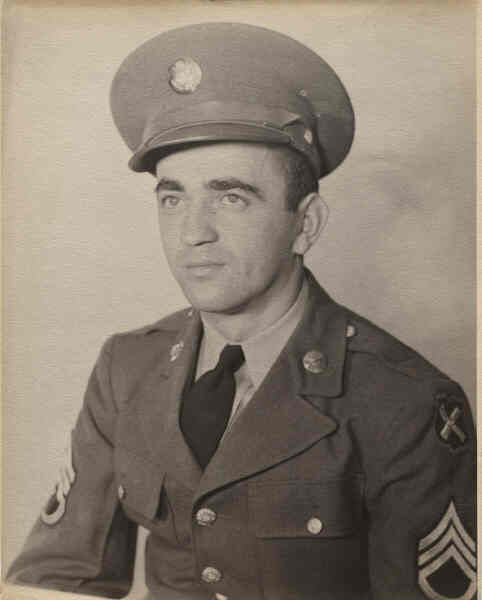 Part of his story was that he became good friends with the Estievenart family in Belgium (who had six children) when the U.S. Army was camped there for several months. 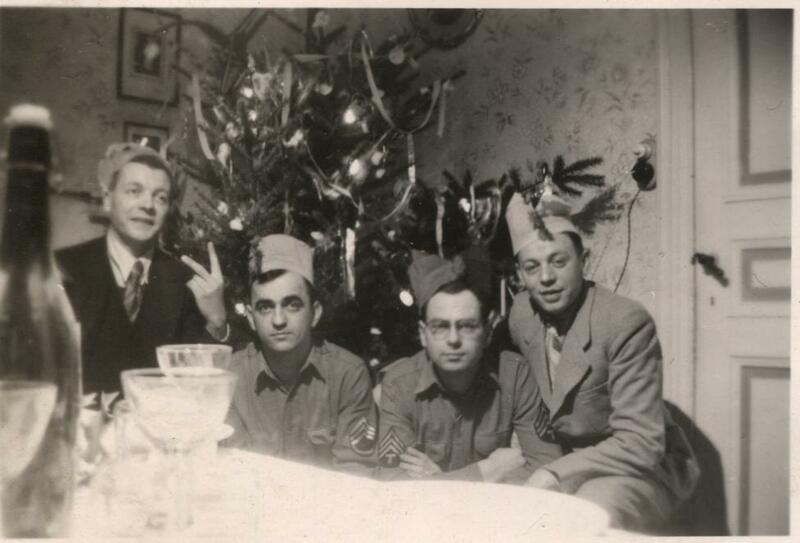 This friendship began after the U.S. liberated Belgium from the Germans. The Belgium people were grateful to the U.S. soldiers and many families welcomed the U.S. soldiers into their homes. Last year this author, along with Anthony’s daughters, was able to locate the Estievenart family. The surviving family members said that they were absolutely amazed that they were contacted by Anthony’s family. They said Anthony came to their home often and that they loved him dearly. The four daughters adored him and he adored them. One son, Ferdinand, said he remembered how Anthony brought chocolates to his youngest sister Jacqueline. These were special treats that she had never eaten before. Ferdinand told us that he comes to the U.S. each year to visit his children who now live here in the U.S... He went on to say that the next time he visits, he would be thrilled to meet Anthony’s daughters Cathy and Cindy. 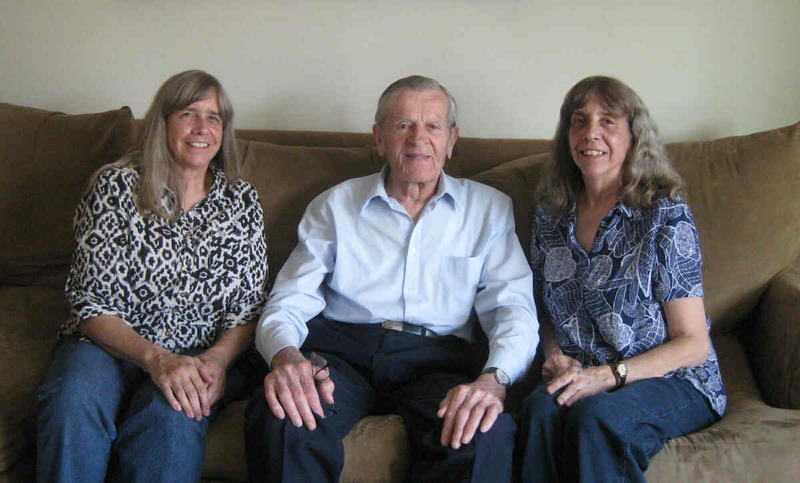 Last month, Ferdinand was in Baltimore and he invited Cindy and Cathy to meet him for lunch. This author was honored to be invited to attend the meeting. On July 23rd the day arrived and we got into the car for the drive to Baltimore. We discussed our concerns--how would the meeting go--would there be much to talk about or would it be an awkward afternoon? Soon after our arrival we met Ferdinand, now in his mid-80s was very sharp and a good story teller. Soon Anthony’s daughters (Cindy and Cathy) and Ferdinand had old photos out and the talk of the war and the friendships made flowed freely. 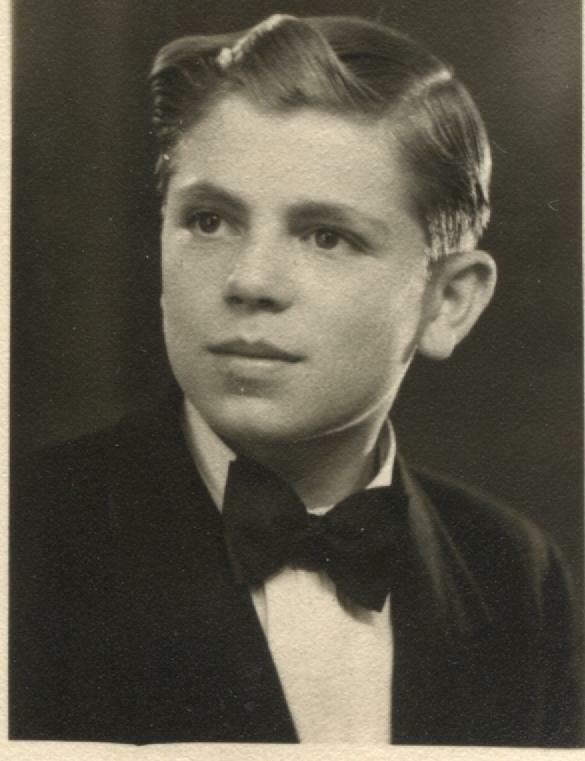 We learned that Anthony kept in touch with the Estievenart family for many years after the war. Ferdinand had his own interesting war story which he shared with us. These were difficult, intense years – a life and death struggle – a time that those who lived through it would never forget. 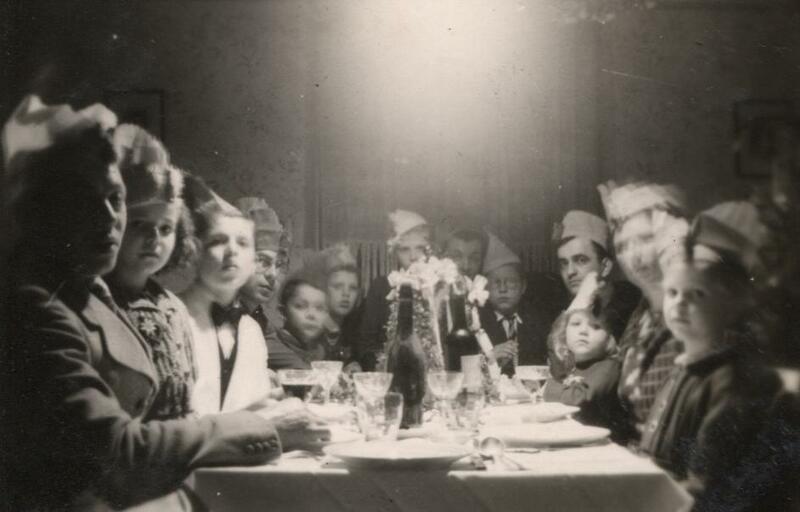 In 1940, four years before the Estievenart family met Anthony Musz, the Germans had conquered Belgium. Life was hard under the German occupation. Food was often scarce. One could be harassed, imprisoned, or even killed for a small or perceived violation. There was a curfew at night - everyone had to be home – or else. The Belgium people were forbidden from listening to the BBC (British News) on the radio. But that did not stop Ferdinand’s dad from listening - which he did quite often. But one time his dad was caught listening by the Germans. They responded by taking his father away to prison. The family worried about his fate, but he was released after several days of interrogation. There were a couple of other times when his father was taken away – for reasons that were unknown – but fortunately he was always released and returned home. Ferdinand, then a teenager, also had his altercations with the Germans. With food scare and the family hungry he and his brother would sneak at night onto farmland that was guarded by German patrols. The boys usually went unnoticed and managed to steal some food. However, one night they were spotted by German guards who pointed their guns at them. The boys had realized that a confrontation like this was possible - thus they planned in advance for it. Upon being spotted the boys did not run, but instead turned their flashlights on themselves to show that they were just teenage boys who were surrendering. A smart idea as running away in the dark would surely have brought on deadly gun fire. The Germans took them to the local prison where they were questioned. Fortunately they were released with just a warning. Two teenage boys stealing to feed their families were forgivable even by the usually brutal Germans. With the ongoing shortage of food there were times when the Estievenarts would not have enough food for all family members. In this situation the family would then feed the little ones first. Then, whatever was left over, if anything would go up the line to the older family members. Not only were they often hungry, but they were often cold too. To help solve this problem Ferdinand and his brother turned their energies into “obtaining” coal. They learned to quickly climb aboard a recently stopped freight train, throw some coal off, and then jump off to hide in the weeds before the train conductor could spot them. In October of 1944, the U.S. liberated Belgium. Ferdinand recalled what a glorious day that was. Soon after that they would meet Anthony Musz. He hung out at their home - often playing cards. They became very close; the Estievenart mom even did his laundry for him. Life was good and peaceful for three months in Belgium, but on December 17th 1944, the Germans in a surprise attack, entered Belgium again. The U.S. troops were caught off guard and pushed back. The Germans were once again taking over Belgium. 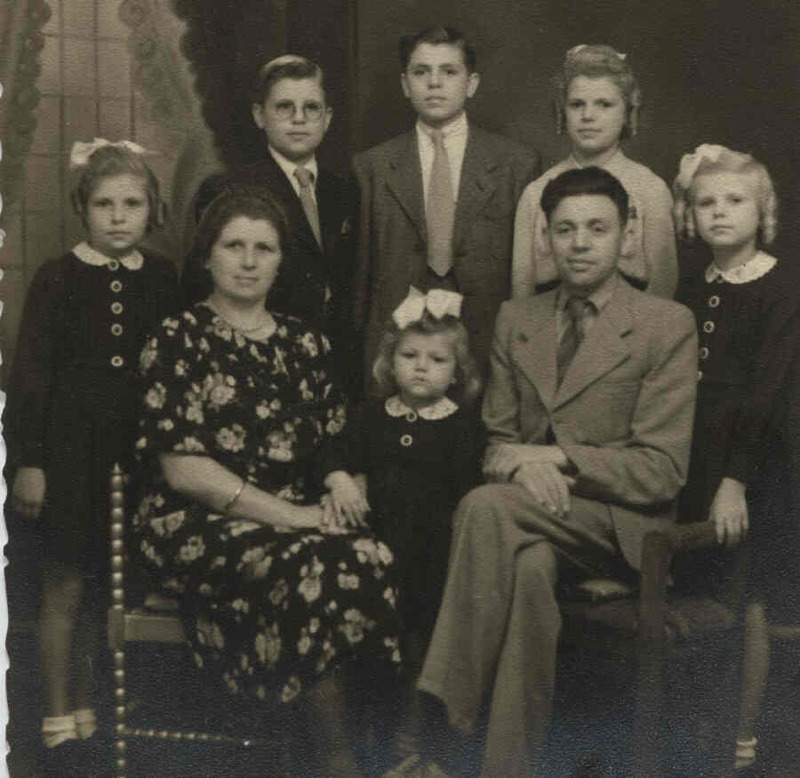 The Estievenart family needed to escape the approaching Germans. This was not easy. There was a wholesale movement of the Belgium people, but there were few vehicles and no mass transit, so the family had to flee on foot. They walked many miles - braving the weather - to escape the advancing Germans. Ferdinand said that this was a terrible ordeal - he did not want to talk any further about that part of the war. A couple of weeks after the German surprise attack the U.S. Army re-grouped, fought back hard, and kicked the Germans out of Belgium - this time for good. In early January, the Estievenart family was able to return to their home and celebrate Christmas. They had a big dinner party with Anthony Musz in attendance. Many pictures were taken that survive to this day. In February of 1945, the U.S. army started to pack-up to move on toward Berlin to finish off the Germans. The Belgium men, grateful to the U.S. for liberating them from the hated Germans, were eager to go along with them to finish off their enemy. Ferdinand, just 17 years old, joined the U.S. Army. Speaking both French and English, he served as an interpreter. Today Ferdinand, in reference to his joining the U.S. Army said “Boy was I proud to join them”. The Germans had terrorized the Belgium people for over 4 years and now it was payback time. He was glad to play a part. 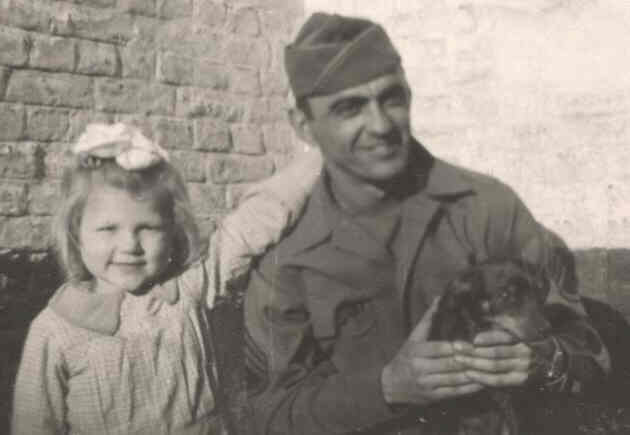 He moved with the U.S. Army all the way into Berlin. At this special meeting last month in Baltimore each side was grateful to meet the other. They even brought gifts for each other. Anthony Musz’s daughters made a special photo book for Ferdinand with the old photos from their dad’s scrapbook - many photos included Anthony with the Estievenart family. Ferdinand was very moved as he began to look through the photos. There was not a dry eye in the room. In summary it was a great day - this special afternoon - a meeting between two families from different continents and different generations was absolutely amazing.